The Romans named the fertile landscape in southern Italy: Campania felix: Happy Plain. 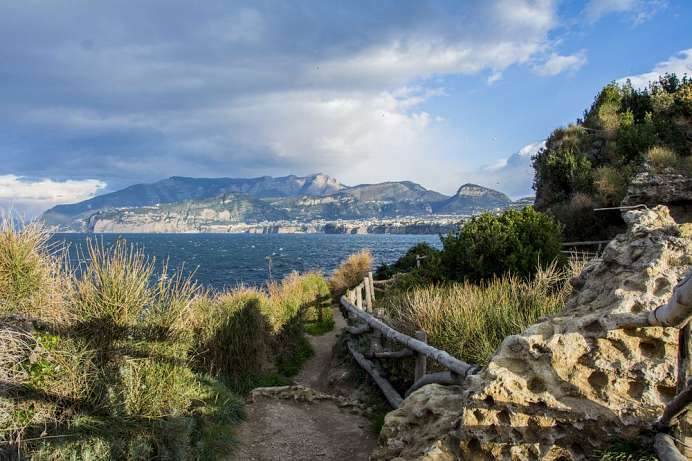 Originally this referred only to the plain around Naples and the mountainous peninsula of Sorrento. 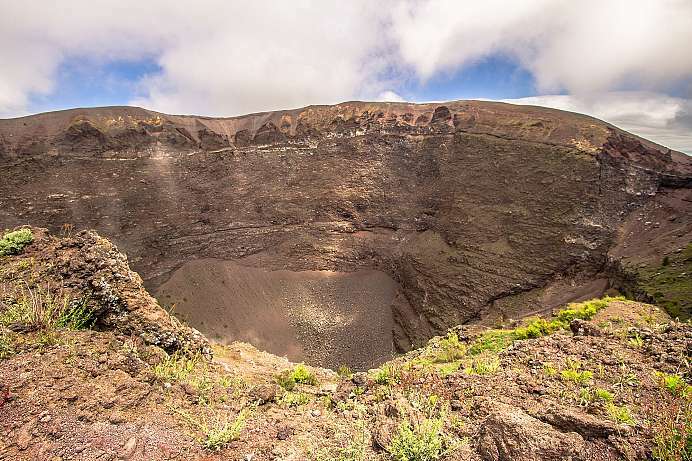 The volcanic, fertile soil allows the cultivation of tropical fruits and wine. 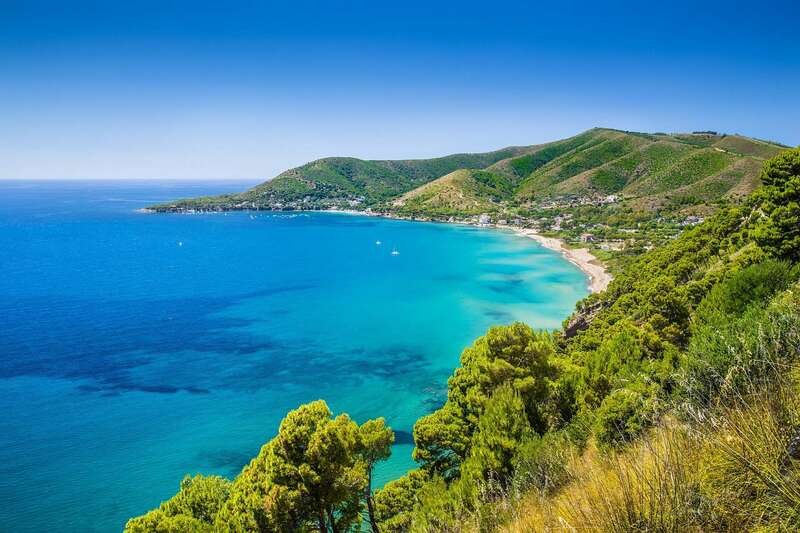 The Cilento National Park, with its original landscape and many ancient sites, is a UNESCO World Heritage Site, as well as the historic center of Naples, the Amalfi Coast and the archaeological sites of Pompeii, Herculaneum and Torre Annunziata. 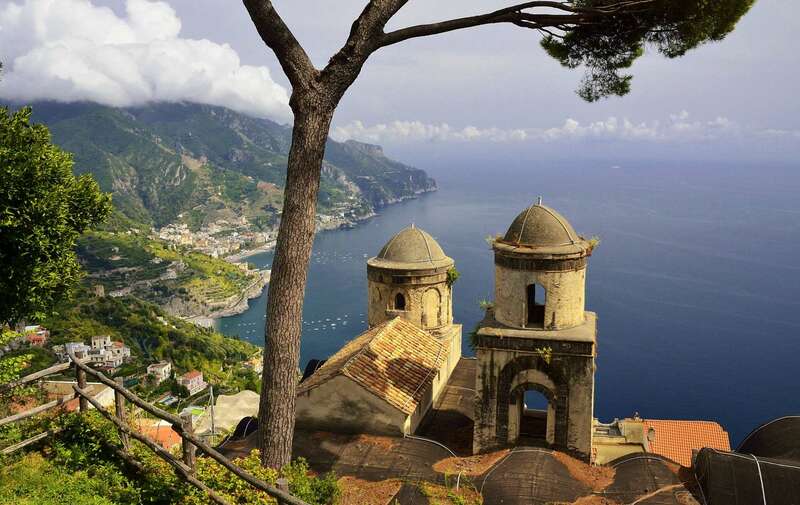 Parts of Campania are geologically restless and are shaken by recurrent earthquakes. 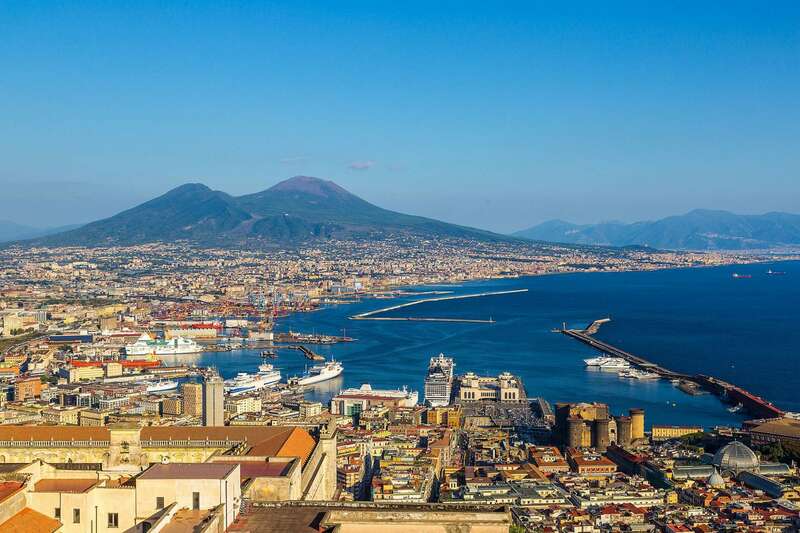 Mount Vesuvius near Naples is an active volcano. Where the modern world ends. 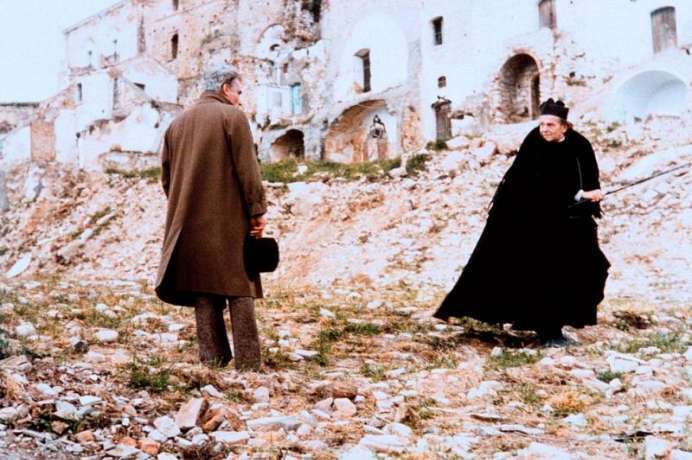 Film scene from "Christ only came to Eboli"
In 79 AD Vesuvius buried the Roman city under a twelve-meter-thick layer of ash and pumice. At that time Pompeii was 600 years old. From the ancient Greek settlement on an old lava flow of Vesuvius, Pompeii had become a Roman town that became a refuge for the heat-afflicted rich in summer. Pompeii had a theater, an Odeon and an arena. 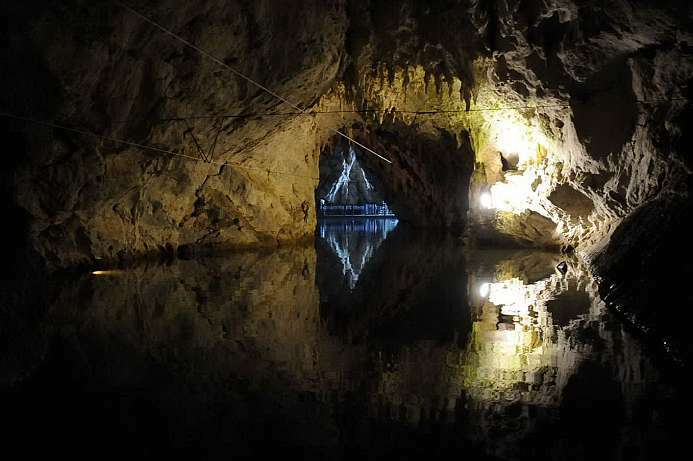 13 public brothels were discovered during the excavations. After its rediscovery in the 18th century the city's second story began, namely as the most important and largest archaeological site in Europe. Today a three-kilometer trail along the city walls provides a good overview of the excavated city. 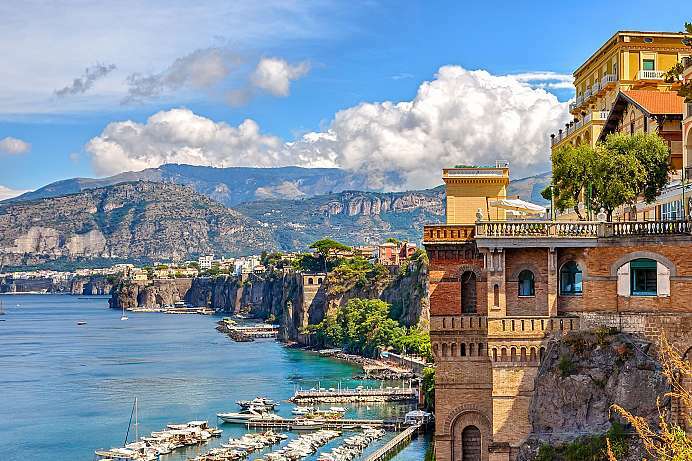 For more than 2000 years sunsets, orange- and lemon-gardens have brought visitors from around the world to the peninsula on the Gulf of Naples. Legend has it that already Odysseus had been misled by the song of the sirens in ancient Surrentum. 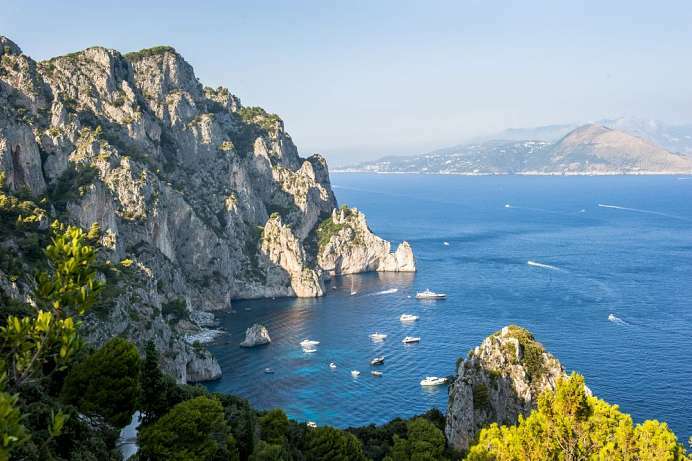 When he defied their control after all, they turned into the rock of Li Galli which emerges from the sea near Positano. Writers, musicians and painters have immortalized the place. 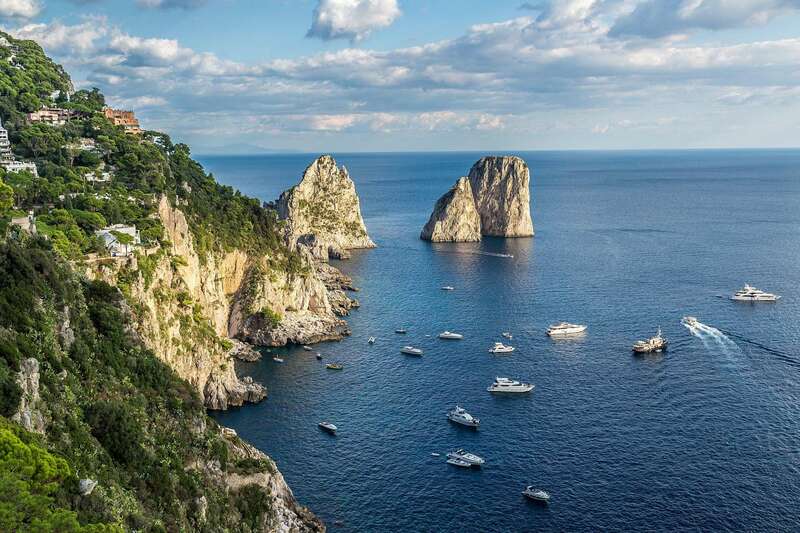 The tip of the Sorrentine Peninsula lies just five kilometers from Capri, which can be easily reached from the port of Marina Piccola. A trip to Ischia and Procida, whose silhouettes can be made out on a clear day, takes no time at all by speedboat. The Circumvesuviana train takes visitors to Pompeii and Herculaneum or Naples.